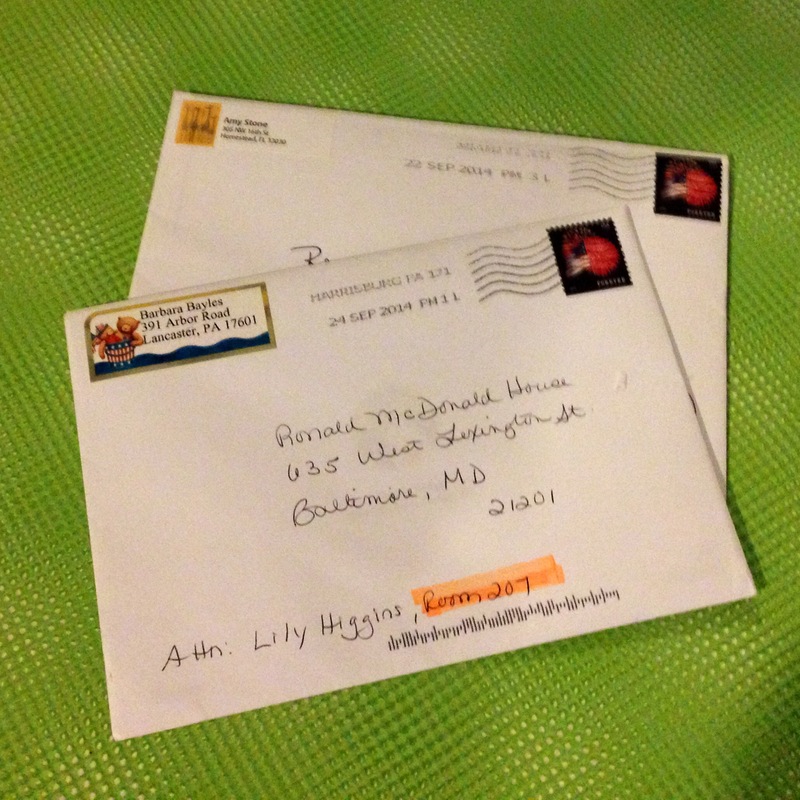 We received our first two pieces of mail to the Ronald McDonald House this weekend. I shared them with Lily during our visit with Melissa and Bryce. Thanks for the words of encouragement! Today was truly a rest day for Lily, we are still working on getting her back up to her pre-op feeding schedule so each “meal” takes 4 hours to complete as opposed to an hour and half as it normally would. Because of this and few other issue she stayed in bed most of the day. That’s okay, she needs to build up her strength for the work week. Melissa took advantage of the bedtime to snuggle with Lily. 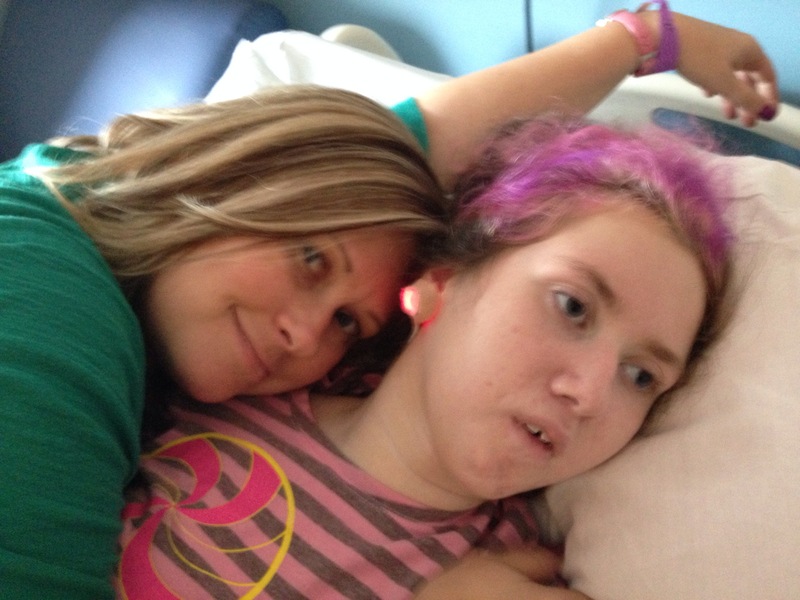 The glowing light is Lily's pulse ox monitor. Between snuggle sessions Bryce and Melissa took me out to lunch. It was nice to get out of the hospital environment for an hour or two. We ate at a barbeque joint called Mission BBQ Bryce described it as “possibly the most ‘America’ place we have ever been.” Their food and service was great, as is their cause. Definitely 4 stars in the Higgins travel guide. In addition to the mail we recieved at RMH, Melissa brought a lovely gift handcrafted by a co-worker. 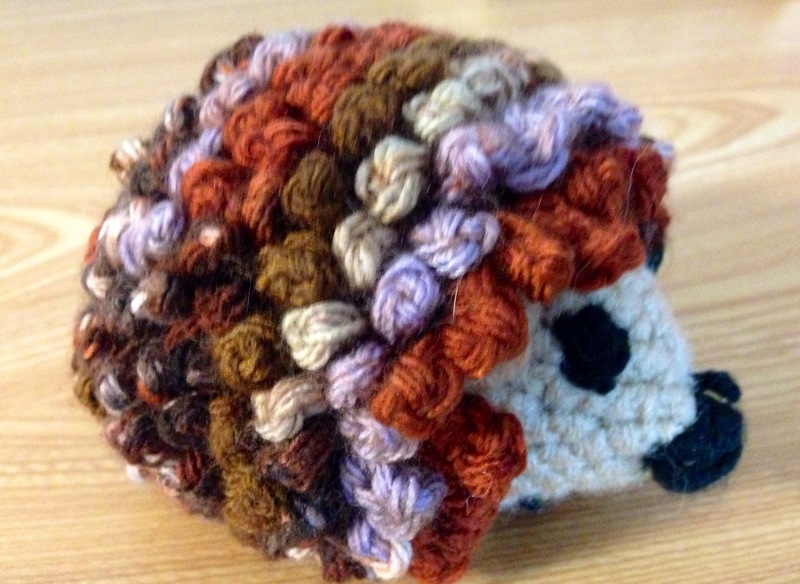 We haven’t settled on a name yet, but my vote is for “Reggie the Hedgie”. It also came with a matching scarf for Lily. Thanks Monika! Alright, tomorrow is a full day of therapy, plus Lily’s steering meeting so I’m sure I will have more to share tomorrow. Next Next post: Someone has a case of the “Mondays”.